Wearme SOS bracelet K30 GPS Personal Tracker is an SOS bracelet Medical alarm wristband, which uses SIM card in order to report the location of the watch in real-time. You can add up to three (3) SOS contact numbers, so when the person who wears it require assistance or help he/she press the red SOS button. Through the mobile application that this device comes with, you can view in real-time the location of the watch. Function live tracking, emergency call, Heart rate monitoring, blood pressure monitoring,Medication reminder, and so on. SOS Panic Button GPS Trackers is a wearable smart devices, containing three-dimensional motion sensor, vibration motor. 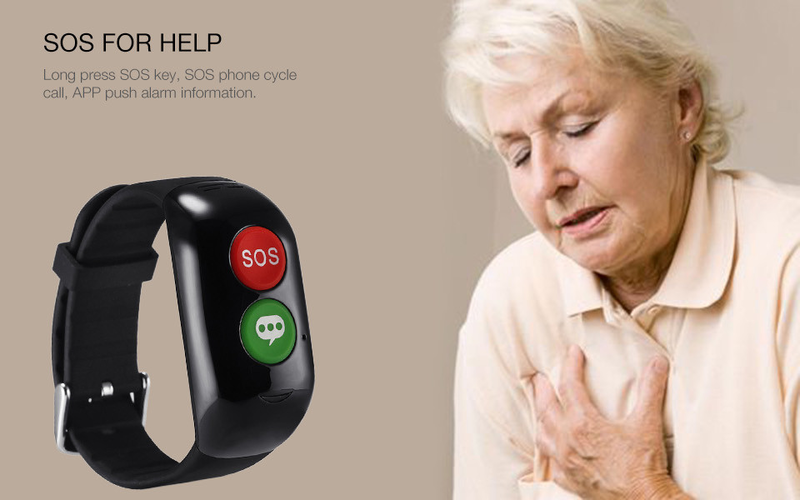 You can record exercise, sleep and other real time data everyday with the wristband, these data synchronization with smart phone, guiding a healthy living life style Sync your data.With SOS function,you can get help form others once in an emergency.